The Imboden Friends of the Library have scheduled the annual Pancake Breakfast to raise funds for the Bobbie Jean Memorial Library in Imboden. The breakfast will be held on Saturday, April 11th from 7:00 am to 10:00 am at the First United Methodist Church in Imboden. The Friends of the Library are a group of volunteers who work on behalf of the library to provide additional books and equipment. Winners of the Friends of the Library Art Contest held at local schools will be honored at the Pancake Breakfast by receiving a free book from the Friends and one FREE breakfast. All winning entries will be displayed at the breakfast . The community is invited to help support the local library and honoring the art contest winners by attending. The cost of the breakfast will be by donation. Membership to the Friends of the Library group is open to all individuals who are interested in promoting our local library. Individuals may join the organization at the Pancake Breakfast by paying $1.00 in dues. By joining, you are showing your support for the Imboden library. The breakfast will be held in the basement of the Imboden First United Methodist church and signs will mark the entrance. The basement is handicap accessible. 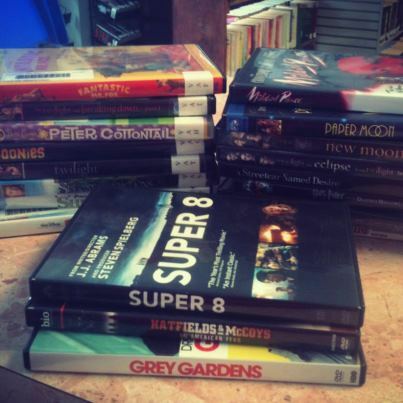 Thanks to the Imboden Friends of the Library for the new additions to the DVD collection! On the shelves today. 23 new DVD were purchased for patron circulation by the Friends of the Library. Stop by the library and check out our Big Book Sale. Huge box of 10 cent each romance books added today! Friends of the Library Pancake Breakfast had a great turn out! The Annual Friends of the Library Pancake Breakfast held on Saturday, March 5th 2011 had a great turn out! 178 people attend the breakfast including all of the art contest winners from Sloan-Hendrix and the Imboden Area Charter School and after expenses just over $900.00 was raised to assist the Bobbie Jean Memorial Library in purchasing children’s books and equipment. All of the great artwork from the contest was displayed at the breakfast. Each art contest winner recieved a free breakfast and a book. Thanks to the Friends of the Library, everyone who helped in the kitchen preparing the breakfast, all of you who attended the Pancake Breakfast and/or donated. The Bobbie Jean Memorial Library encourages everyone to use our local library often. Check out a book, cd, or dvd. Read a magazine. Use our computers and internet access. These are just a few of the things you can do at our library. Best of all it’s FREE!